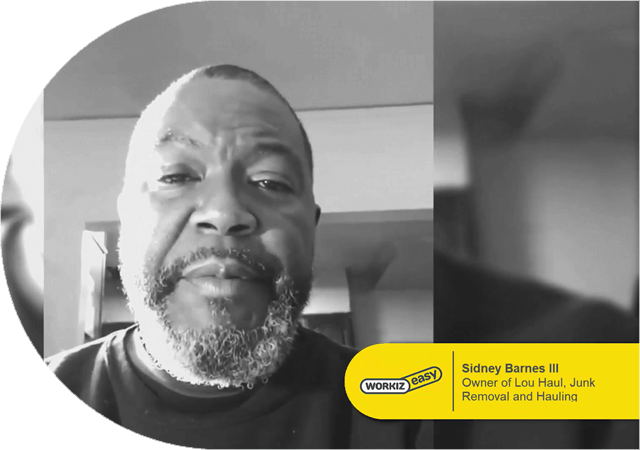 Workiz gives junk removal professionals all the tools they need in one, easy-to-use field service software. 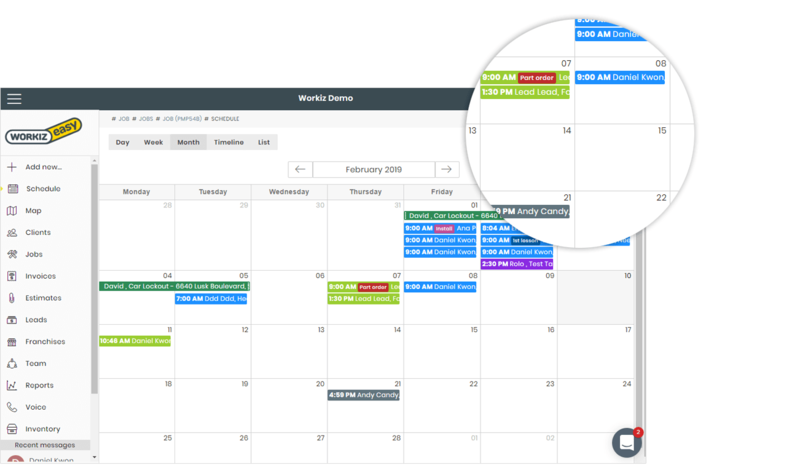 Quickly schedule and manage junk removal and hauling jobs with our visual, color-coded, drag-and-drop calendar. 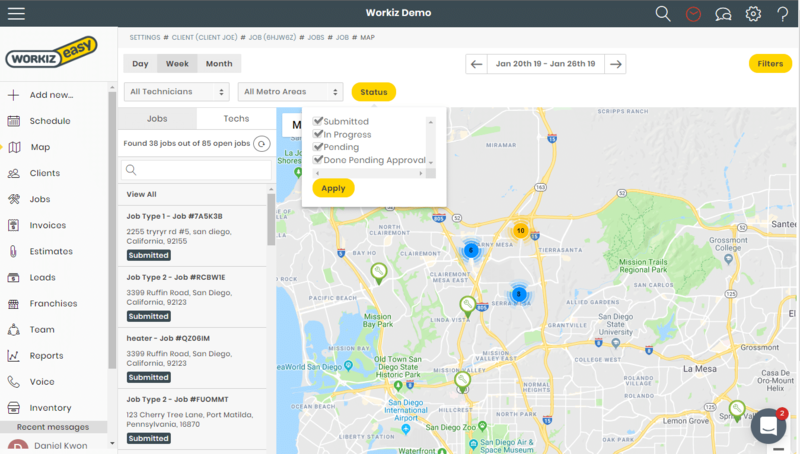 Workiz lets you see how your junk removal business at a glance: view jobs by status, optimize your route with a map view and keep track of payments. Easily assign jobs to your available junk removal employees and communicate in real time via SMS and email. You can also track your employees in real-time in the field. We’re the only junk removal service software that lets you track what customers and clients are saying, record calls, and use call masking to keep tech and client numbers private. Workiz makes it easy to send estimates, invoices, accept e-signatures and collect ePayments for junk removal jobs. Don’t wait for a check in the mail, simply send a link and that’s it. Understand your business strengths and weaknesses with Workiz’s real-time data and reporting. Create custom reports, calculate tech commissions and understand ad spend. 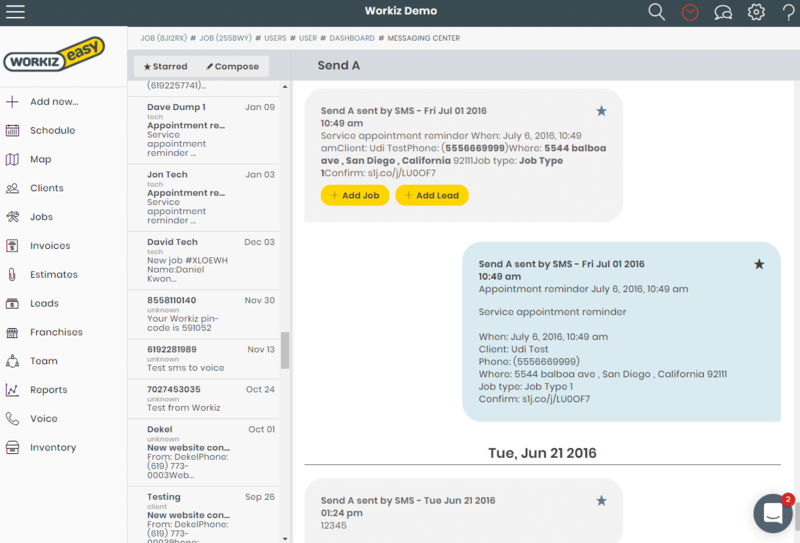 Workiz is one of the only field service softwares that lets you use custom fields in jobs. This means you’ll have 100% control over the details you’d collect for any junk removal job, so you can add extra info to any jobs that you may need including load size, small junk removal jobs, medium, large, etc. Workiz offers not just client notifications and alerts – but the most customizable ones available, which will be triggered based on the actions and rules that you decide. 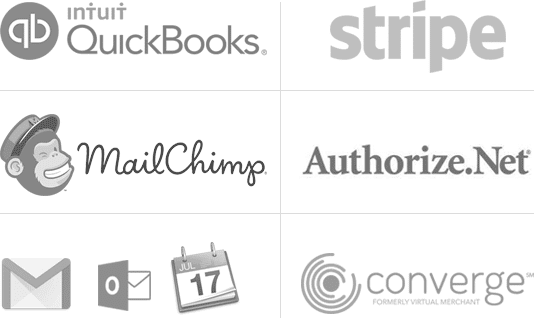 Customize the text, alerts and alert rules for maximum client transparency, improve cancellation rates and control your business workflow. 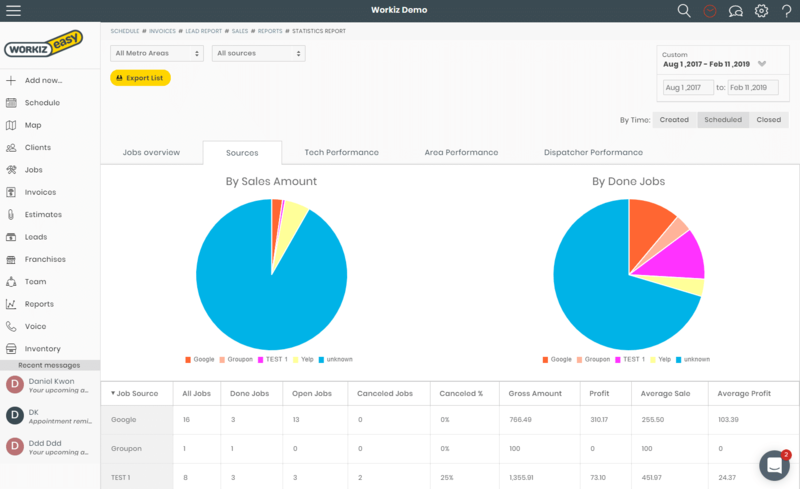 Sure other field service softwares have user permissions – but none have the amount of customization and control that Workiz does. With Workiz you will have over 40 levels of user permissions to ensure that employees can only see what you would like them to see. Your business, your rules! If you’re advertising online or offline, it’s crucial to know which ad sources are profitable and which are a waste of advertisement dollars. Workiz is the only junk removal management software that allows you to understand your ad spend, optimize your ad profits and control where you put your ad dollars. Your junk removal business is always on the move, so is Workiz. No matter where your business takes you, Workiz is available from any device, including desktop, tablet and mobile. Use our awesome app on the go so you can stay connected to your employees, customers and understand your business health at a glance. Workiz is the only field service software that allows you to specify metro areas for your business. Now you can manage the geographic areas of your service locations by distance from a zip code or by drawing it on a map. So now, when you add jobs Workiz figures out which metro area it’s in and only assigns the relevant tech. What's a Junk Removal Software? A junk removal scheduling software is a web or mobile app that helps you run your service business more efficiently. You can you use such an app or software from anywhere that has an active internet connection to check your leads, schedule, view your client’s history and create invoices. Basically, everything that you used to write down on paper or keep in a spreadsheet can now be more efficiently managed in junk removal scheduling software. What if I'm having trouble adjusting to the app? 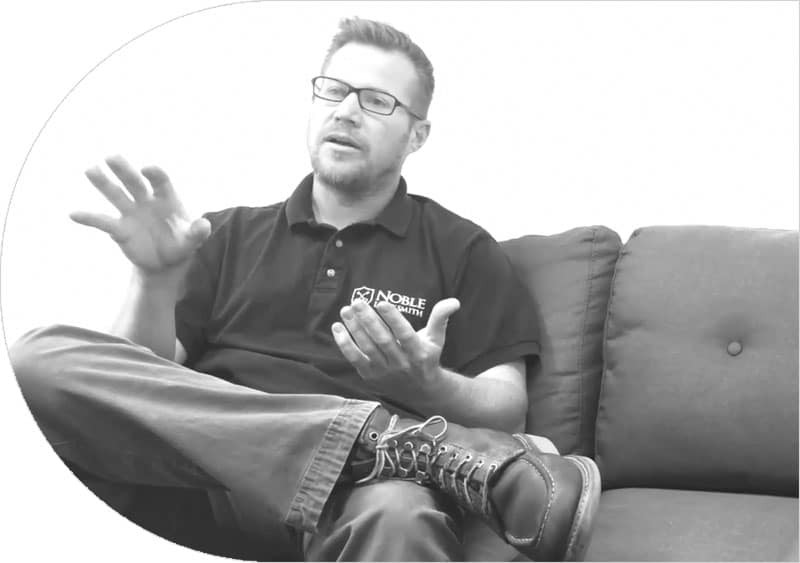 We’ve designed Workiz to be the most simple field service software available but just in case you or your team are having any difficulties, we are always here to help. 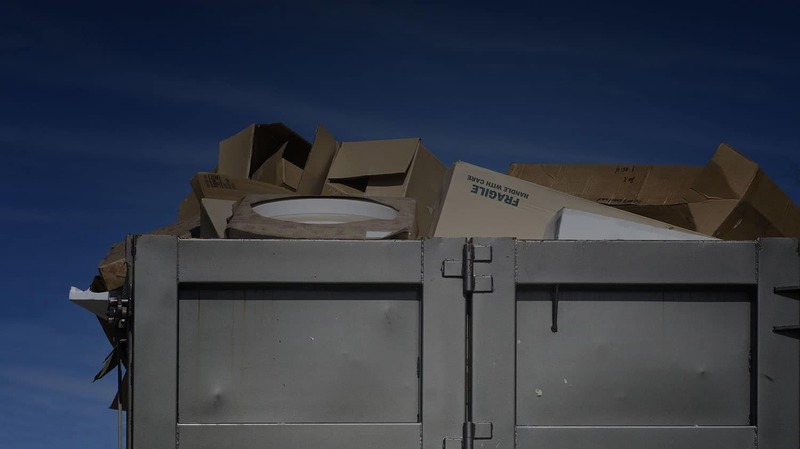 How Can a Junk Removal Software Help My Bottom Line? The odds are you stand to make more profit! How do I get paid with Workiz? The same way as you always did with a few additions. 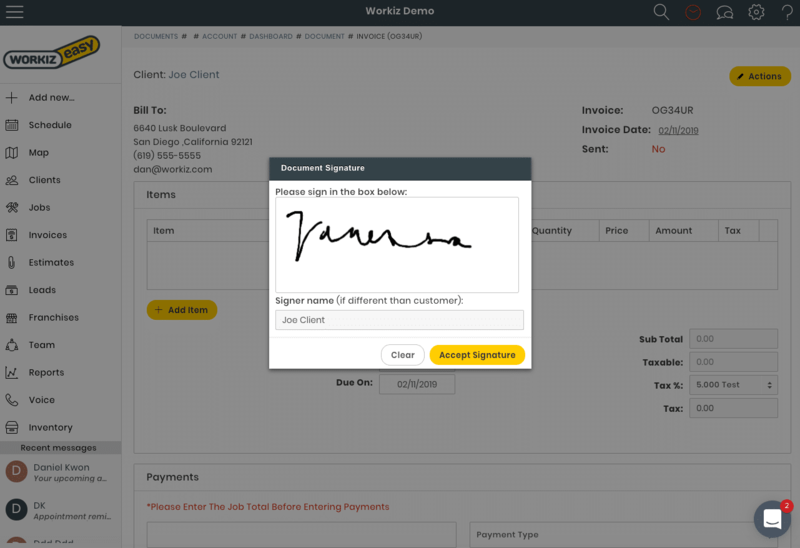 When you receive a cash or check payment from a client you can easily add the payment to Workiz. You can now charge your client’s credit card using the web and mobile app. You can also send your clients a secure link that shows them their balance due and allows them to submit a payment in seconds. Get full access, no credit card required. I don't know how we'd work without it! "We’ve been using Workiz for almost 2 years now. We literally use it for everything in the day to day operation of our business." With Workiz I can see everything about my business. "We’ve been using Workiz for over 4 years. Before Workiz I was using a pen and a paper and now I have everything recorded and tracked." If you consider yourself a professional use Workiz! "I looked over 60+ programs and took trials on 5 of the best ones. This is the best I have found!" It saved me a LOT of time and money! "I am a Workiz Fan! 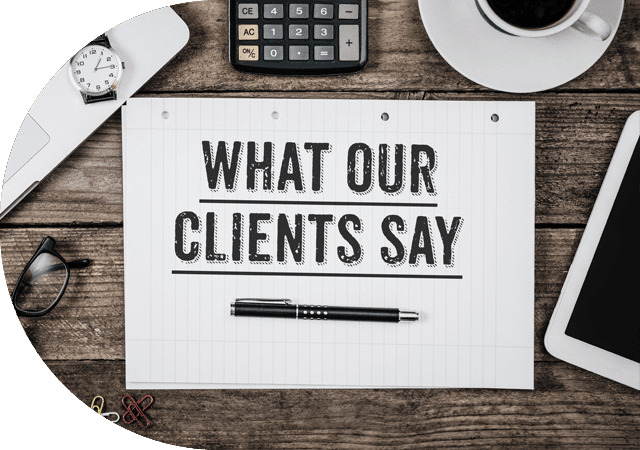 The flexibility with customizing it to my needs, the SMS communication with my techs and an awesome scheduling tools." 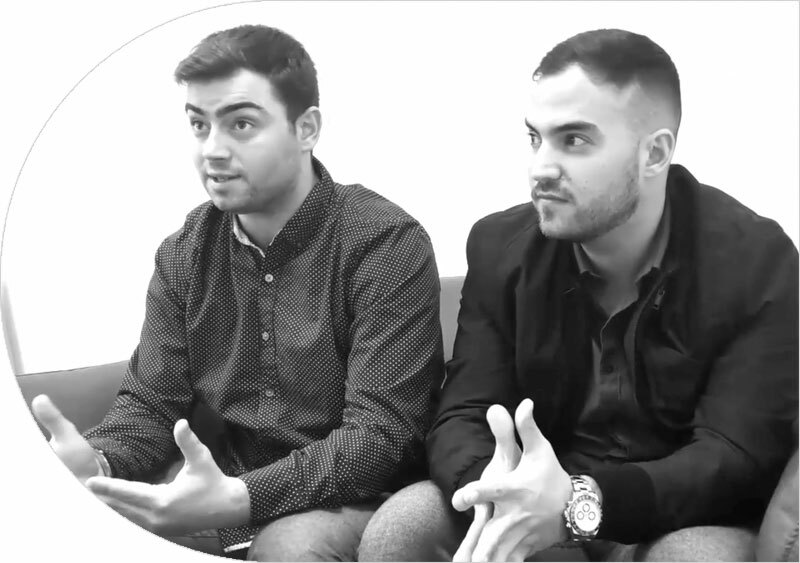 Let us show you how to Start, Run and Grow your business with Workiz.